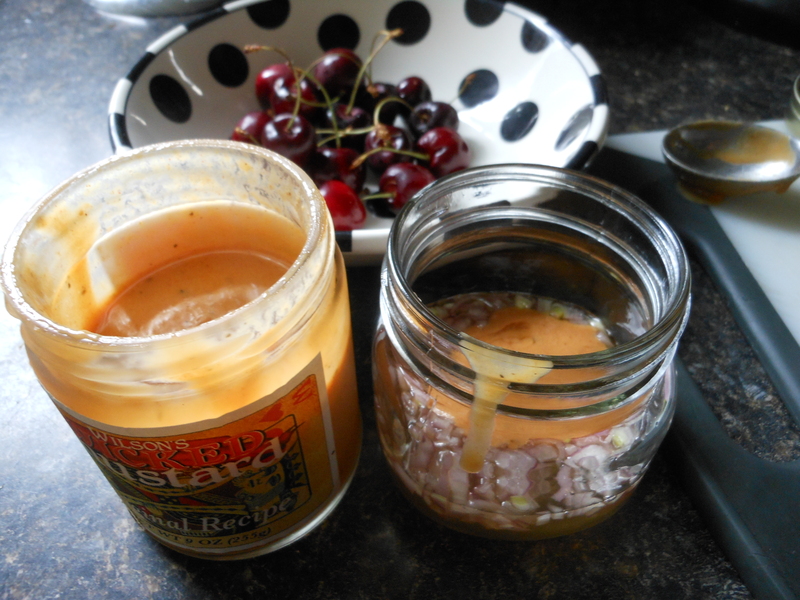 -Place all of the dressing ingredients in a small jar with a lid and shake to mix. Store in the fridge until ready use. 1. 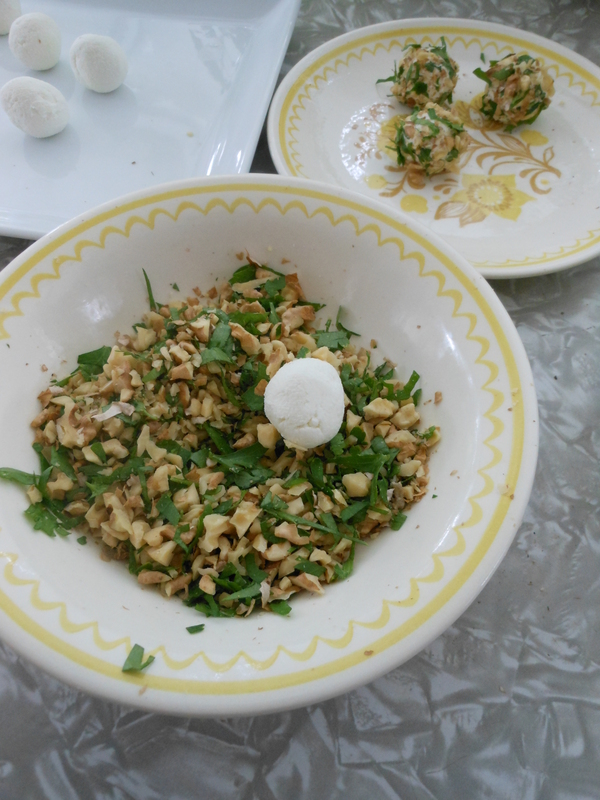 Mix the chopped walnuts and parsley together, once you have formed your goat cheese balls roll them in the walnut and parsley mixture. Press lightly to make sure the walnuts and parsley stick to the cheese, save any remaining nut mixture and scatter over the salads or use for something else. Set aside. 2. 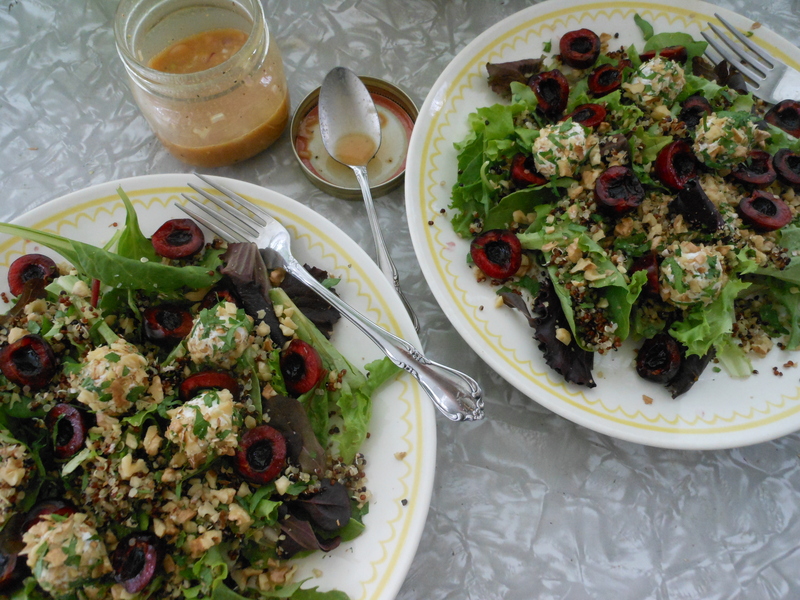 Assemble your salads- scatter your greens between two plates, season your greens with a little salt and pepper. 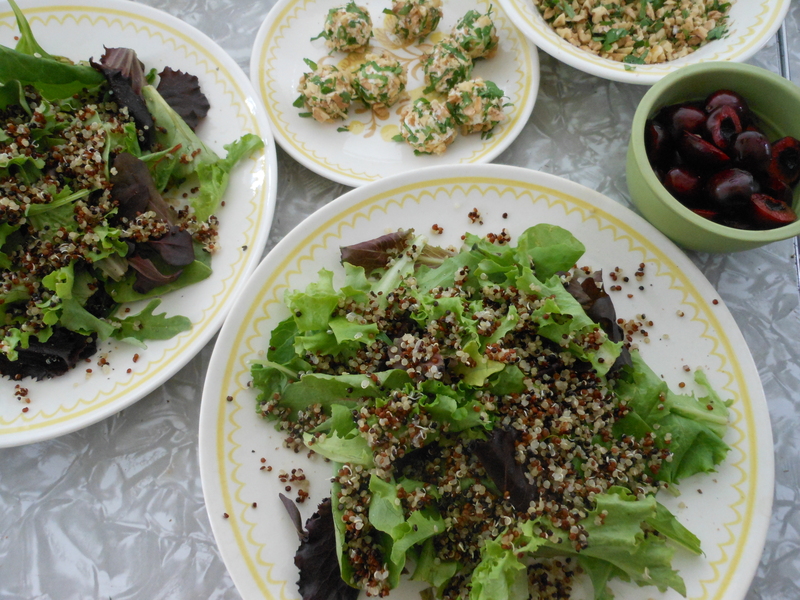 Next divide the cooked, cooled quinoa between the two salads (you don’t have to use all of it), then add your halved cherries and goat cheese balls. 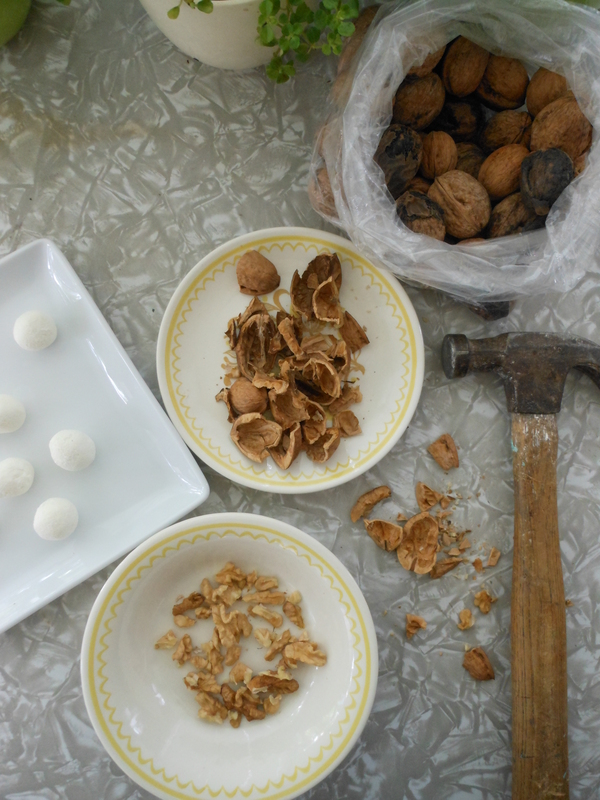 Use the rest of the nut mixture if you want. 3. Pour on the dressing and EAT! 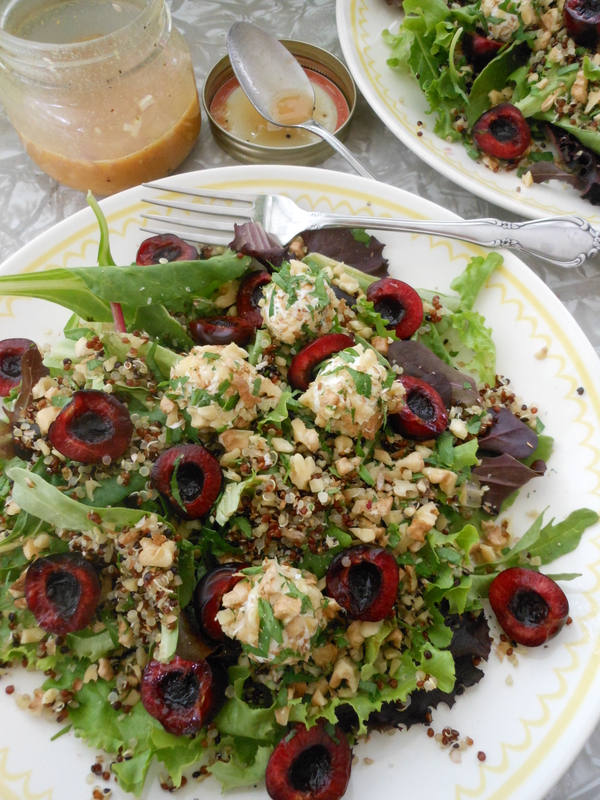 It’s cherry season y’all and almost every ingredient for this salad can be found at our local Downtown SLC Farmers Market, need I say more?!! Get out there and eat the bounty. 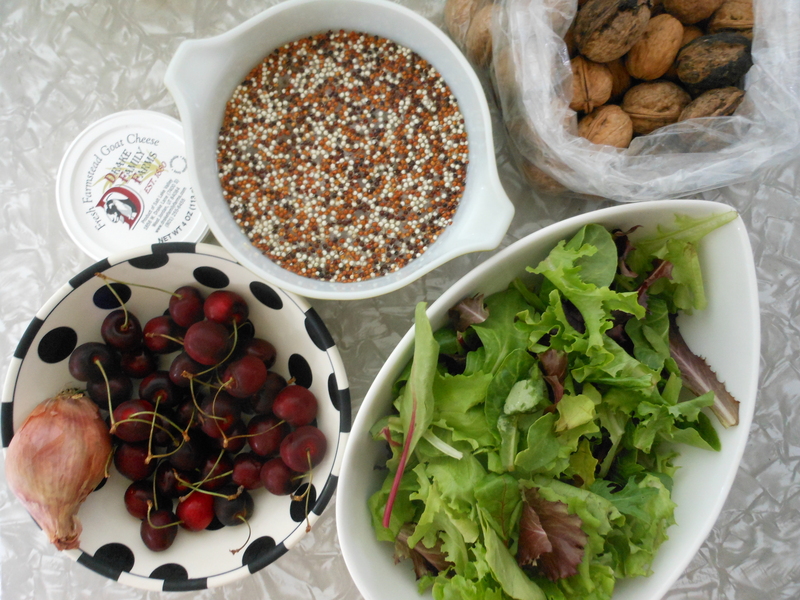 Next week I’ll have another recipe using local tart dried cherries. Until then… ENJOY!